Yesterday, we looked at the five most improved players in the Premiership this season. Conversely, while many players have excelled this season and put in standout performances, there are a number of players that have failed to reach the heights that they showed last season. As a fair comparison, we will use the same criteria as the most improved article. So, using the player rating data from the excellent WhoScored, we can take a look at which players have reduced their rating by the greatest amount from last season. As a small number of appearances can unfairly skew the data, we will only include players that played a part in at least 65% of matches last season and 65% of matches this season. This works out at 25 matches last season and 18 matches this season. Again, it is important to remember that this is not a list of the worst players in the Premiership, rather those that have shown the biggest drop in performance from last season. We have a number of honourable mentions, or should that be dishonourable, for five players that just missed out on the list – Matthew Etherington (6.6 to 6.31), Joleon Lescott (6.88 to 6.58), Ali Al-Habsi (6.58 to 6.27), Danny Welbeck (7.1 to 6.77) and Wayne Rooney (7.8 to 7.42). Two players also just missed out on the list by having played one too few matches this season. These players were Emmanuel Adebayor, Junior Hoilett. It was a stunning debut season for Sergio Aguero. He scored twenty-three goals in thirty-four appearances for Manchester City, most notable that injury time winner against QPR that sealed the title. Added to this, there were also eight assists, meaning that he was directly involved in 33% of Manchester City’s goals. In a team with so many creative players and scorers, this is a very impressive tally. However, he has struggled to match those stellar feats in the current campaign. Twenty-three appearances have yielded nine goals, an average of 0.39 goals per game, significantly down from the 0.68 of last season. He has also created just two goals for teammates. Interesting, this does mean that he has still been involved in almost 50% of City’s goals this season, perhaps indicative of why they are virtually out of the title race. Last season, he was rated as the 7th best player in the league, while this season, he has slipped to 63rd. Clearly, he has not necessarily had a bad season, but it has been far from the achievements of last year. One explanation for the lack of goals could be the fact that he is shooting less regularly. Last season, he averaged 3.8 shots per game, putting him fifth overall in the division. This time around, he is averaging just 3.1 shots per game, slipping down to thirteenth overall. While this may seem a relatively small decrease, over the 23 matches that he has played this season, it works out at 16 shots fewer. This season, he has averaged a goal every 12.5 shots, so it would work out at at least one or two extra goals come the end of the season. He is also making fewer key passes as well. Last season, he averaged 1.7 key passes per match, placing him 31st overall in the division. This season, this has dropped to just 1.3, falling twenty places to 51st. Interestingly, he is passing the ball less and running with the ball more. His dribbles have increased from 1.6 to 2.0 per match, although this has come with an associated increase in the number of times that he is dispossessed each match, rising from 2.8 to 3.3. Clearly the injuries that he has picked on and off through the season have not helped, but he does seem to be struggling to match the wonderful performances of last season. Whether defenders have begun to work out how to stop him remains to be seen, but his drop in form is one of the key factors in Manchester City’s struggles to retain their title. Antonio Valencia was one of the unexpected standout players of last season. His magnificent performances on the right wing created numerous chances for his strikers, as demonstrated by the thirteen assists that he picked up in just 27 appearances. Indeed, only David Silva created more assists for his teammates. He was also able to chip in four goals for his team. 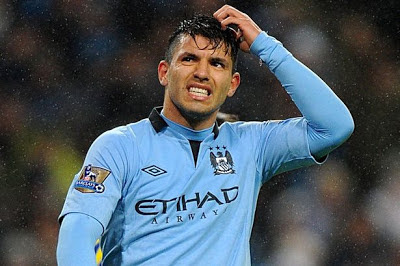 However, this season has been a real comedown for the Ecuadorian. Twenty-one appearances have harvested just four assists and no goals, with only one of those assists coming since the start of November. One of the key reasons for this drop in productiveness is the decline in the number of key passes that he has played this season. Last year, he averaged an impressive 2.4 key passes per match, putting him sixth in the Premiership. However, this season has seen just 1.4 key passes per match – a figure that registers just 44th in the division, just behind the likes of Barry Bannan and Mark Noble. This decrease is closely associated with a fall in the quality and quantity of his crossing. As one of the best out-and-out wingers in the division, Valencia relies on his crossing to provide a number of chances for his teammates. Last season, he was delivering around 1.7 successful crosses per match at around a 25% success rate. However, this season, it has dropped to just 1.2 successful crosses per match at around a 20% success rate. Not only is he delivering less crosses in total, the success rate of those that he puts in has fallen as well. This could be related to a change in the style of play that United have adopted this season. 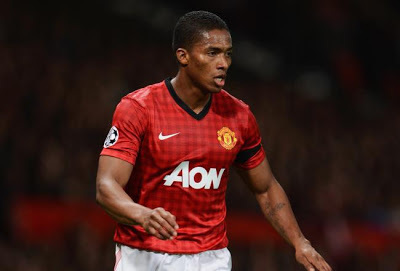 Sir Alex Ferguson has much preferred to play the likes of Welbeck and Rooney in deeper and wider positions, reducing the demand for a true winger in the style of Valencia. Therefore, he has generally played much of his football in a deeper position, seeing far less of the ball. He is averaging over ten passes fewer per match than last season, suggesting that he is far less of an important part of the team in the current campaign. 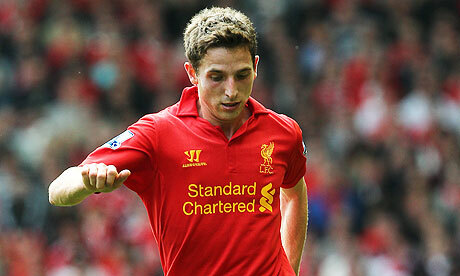 Joe Allen was one of the revelations of last season. In his first season in the Premiership, he was the key cog in the Swansea team that impressed everyone with their attractive passing football. His performances were such that Brendan Rodgers was willing to spend £15m to take him with him to Liverpool. However, his performances have struggled to match those of last season. Last season, there were just nine midfielders that averaged more passes per match than Joe Allen, and of those, only his Swansea teammate Leon Britton had a higher pass completion rate. Allen’s 60.5 passes per match at a 91.2% completion rate were an exceptional set of statistics. However, one might argue that with just two assists, many of his passes failed to come in a dangerous area of the field, with his 1.3 key passes per match putting him just 59th in the division. However, this season, these statistics have dropped. Just 54.4 passes per game sees him drop down to 18th in the league and while his 90.1% pass completion rate is still impressive, it sees him drop to 9th amongst midfielders in the division. In addition, his key passes have dropped further to just 0.8 per match, suggesting that he is not providing a great deal of threat to the opposition goal. While he was never a regular threat on goal at Swansea with just 1.1 shots per game on average and four goals during the season, this has also dropped further this season. He is averaging just 0.4 shots per game and is yet to score in the current campaign. Whether the fact that Joe Allen is no longer the standout midfielder in the team as he was at Swansea is making a difference is yet to be seen. With the likes of Steven Gerrard, Stewart Downing and Lucas Leiva alongside him, it seems as though he is content merely to allow them to run the midfield. Either way, he is not showing the attacking or creative threat that he showed last season, seemingly content to play safer and less threatening passes, perhaps believing in the hype that he received. Liverpool will be hoping that he will grow into the role, otherwise they could be looking at another expensive failure. After a relatively difficult season at Anfield, Charlie Adam would have been hopeful of rediscovering the form that he showed at Blackpool. Twelve goals and eight assists in the 2010/11 season shot him to prominence and won him a move to Liverpool. However, two goals and six assists in 28 appearances did not do him justice and he was moved on to Stoke this summer. However, he has struggled to make an impact at the Britannia Stadium. For such a creative player, the fact that he has no created a single assist this season really sums up what a miserable campaign he has had. Last season, he averaged 49.0 passes per match. This figure put him at 37th in the Premiership and was top of all the Liverpool midfielders. However, this season, he has averaged just 30.8 passes per match, a huge 18.2 passes fewer each game. As one might expect, this has come with a similar fall in the number of key passes, down from 1.9 to 1.1 per match. The crosses that he has put into the box show a similar decline. While he is certainly not a winger, his technical ability means that he is capable of delivering some high quality balls into the area. He averaged 1.3 successful crosses per match at an average success rate of 21.8% during his year at Anfield. At Stoke, he has delivered just 0.6 successful crosses per match at a success rate of just 14.4%. Given that Stoke have some big strikers that are dangerous in the air, you would expect this to have increased this season, rather than the alarming drop that we have seen. There has also been a disturbing increase in the number of times that Adam turns the ball over per match. At Liverpool, he kept possession very efficiently, with just 0.4 turnovers per match. At Stoke, this has trebled to 1.2 per match. The style of football that Stoke play could certainly have played a big role in Adam’s decline. They prefer to play the ball long to the strikers, bypassing the midfield. This directly negated Adam’s strengths in bringing the ball down and playing incisive passes for players to run onto. Interestingly, he is actually playing fewer long balls and fewer successful long balls at Stoke. However, this could likely be explained by the fact that, at Liverpool, he was playing searching balls out to the wingers, or over the top for Suarez to run on to. At Stoke, he does not have the strikers to run onto through balls, as shown by the fact that he has not made a single successful through ball this season. 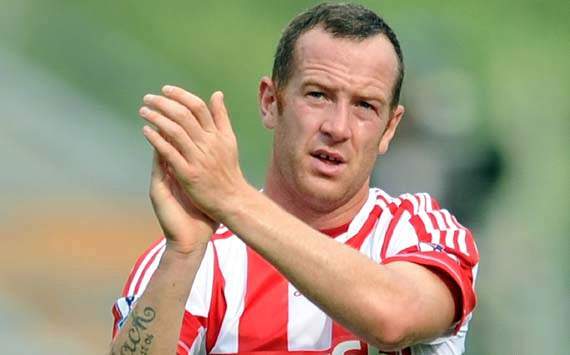 If Charlie Adam wants to rediscover the form that clinched his move to Anfield, it seems likely that he needs to find a team that will utilise his strengths more effectively. At Stoke, his style of play clashes with that of the team as a whole, and it is no surprise that amongst midfielders that have started at least fifteen matches, he is ranked third from bottom. 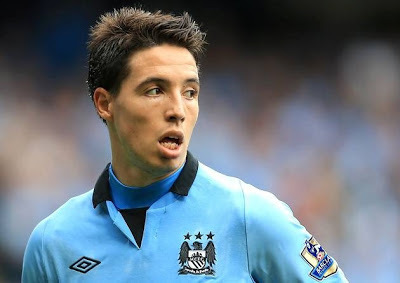 Samir Nasri was another player that enjoyed an excellent first season at Manchester City, helping them to clinch the title on the final day. His five goals and nine assists in thirty matches certainly came as a positive for the side and, on his day, he can destroy defences. However, he has struggled to show that ability in the current campaign. Just one goal and three assists in nineteen appearances are poor for a player of his standard. Even more so when you consider that he scored and created an assist on the opening day in a 3-2 win against Southampton. That means that he has created just two goals in eighteen appearances since then. One of the obvious areas where he has fallen down this season is his passing and overall involvement in the matches. Last season, he was a key creative threat for Manchester City, as demonstrated by the 52.9 passes he averaged per match at an astonishing 91.1% completion rate. That puts him in the top 25 for total passes and the top 5 for completion rate. This season though, he is making just 39.5 passes per match, although interestingly his pass completion is identical at 91.1%. However, the total passes per match figure sees him drop to 91st in the league for this season. The total key passes have also dropped from 2.5 last season to 1.8 this season. Combining all this, it would seem that he is seeing less of the ball, and he is playing safer and less creative passes when he does receive it. While this could be due to the fact that defences are playing deeper against City, forcing them to play simple passes in front of the defenders, it does show that they have lost a great deal of his creative threat. This is backed up by the fact that he is dribbling the ball no more often this season. Had this been higher, we could have surmised that he was keeping the ball to himself more often, rather than passing, but it would just seem that he is no longer the player that City look to give the ball to when they are looking to create something. He is also far less of a goal threat this season. His shots per match have dropped from 1.9 to 0.9 this season, which could certainly help to explain why he has failed to chip in with more goals in the current campaign. Whether his decline is due to the fact that he is receiving the ball less often, or whether he is being given the ball less often because he is struggling to do anything when he receives it, is difficult to determine. Either way though, it is clear that Nasri is no longer the threat that he was last season, and this drop in creative talent could explain why City have often failed to break teams down this season.